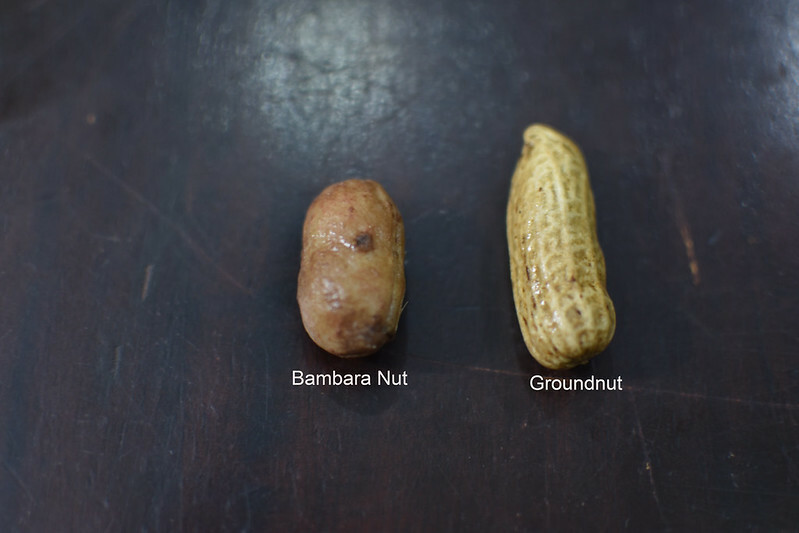 It is the season of Bambara groundnuts which make world-famous, Okpa. People are ringing relatives in Enugu (where the best ones are made) to send some down west, south, north and all across Nigeria. I’m sure there have also been international requests fulfilled too. I’d never had it before – only heard from friends and colleagues about how awesome it was in its various forms. It turns out that being stuck in traffic has its uses. Sometimes. In traffic, one gets to slow down and see things that perhaps may not cross one’s path. One could listen and dance – yes dance to favourite songs. There are of course opportunities for irritation and anger especially if you’ve had a long day. But anyway, I was in traffic when I spotted a tray full of groundnut looking things which I knew weren’t groundnuts for the size – slightly wider and colour – dark brown . 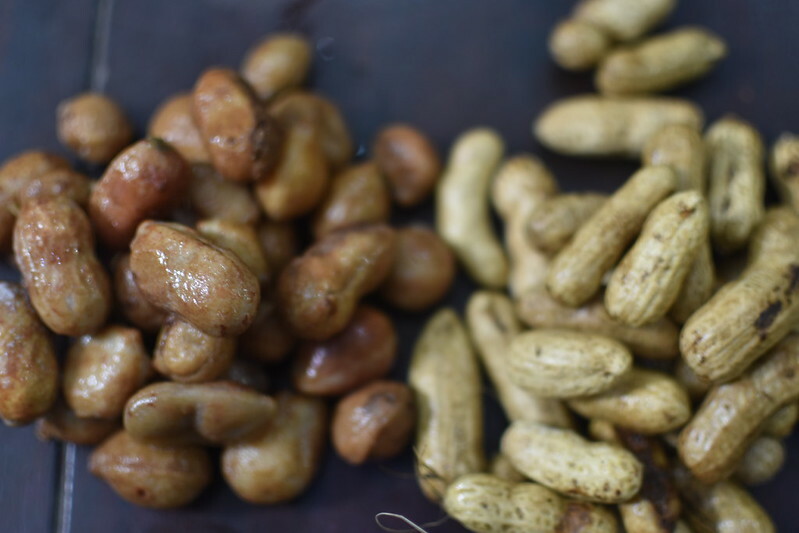 If there ever was a cross between brown beans and groundnuts, these are it. 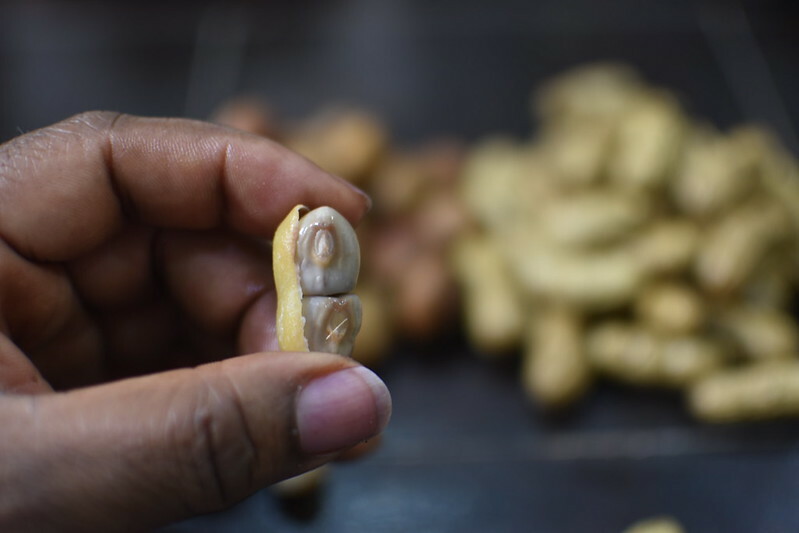 It is in fact, a kind of groundnut. 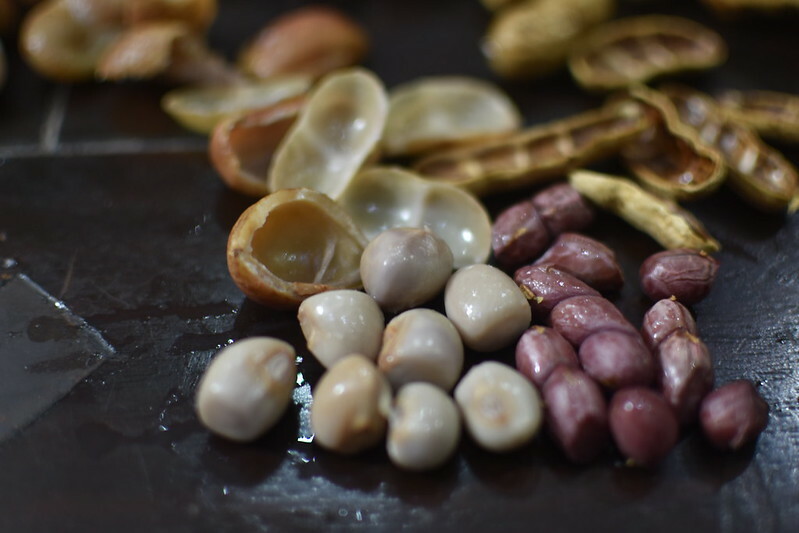 The skin-shell houses bean/peas/nuts that look like beans and taste exactly how you’d expect beans and groundnuts to fuse and taste. Botanical Name Vigna subterranea (L.) Verdc. Synonyms Voandzeia subterranea (L.) Thouars. Provenance: Indigenous to sub-Saharan Africa where it is widely cultivated. The centre of origin is most likely North-Eastern Nigeria and Northern Cameroon, in West Africa. The species is also grown to a lesser extent in some Asian countries such as India, Malaysia, Philippines and Thailand. In South Eastern Nigeria, particularly in Enugu, the dried bambara beans are ground into a fine powder, then mixed with palm oil, water and pumpkin leaves and then poured into banana leaf wraps or 1 litre cellophane bags before being boiled into a kind of cakey pudding to make Enugu’s most popular delicacy called “okpa” okpa is the number 1 breakfast item in Enugu, Nsukka and Ngwo Nigeria. 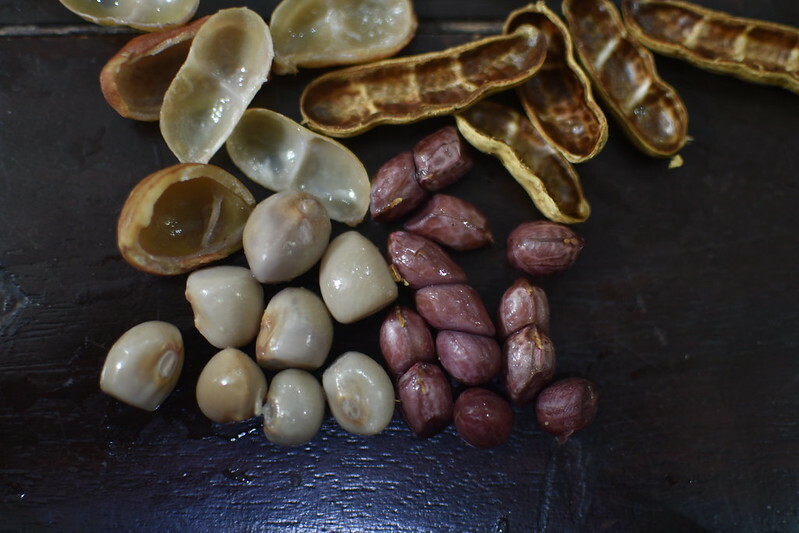 Bambara nuts are cooked overnight and then seasoned with condiments. Sako is served with groundnut oil to taste. 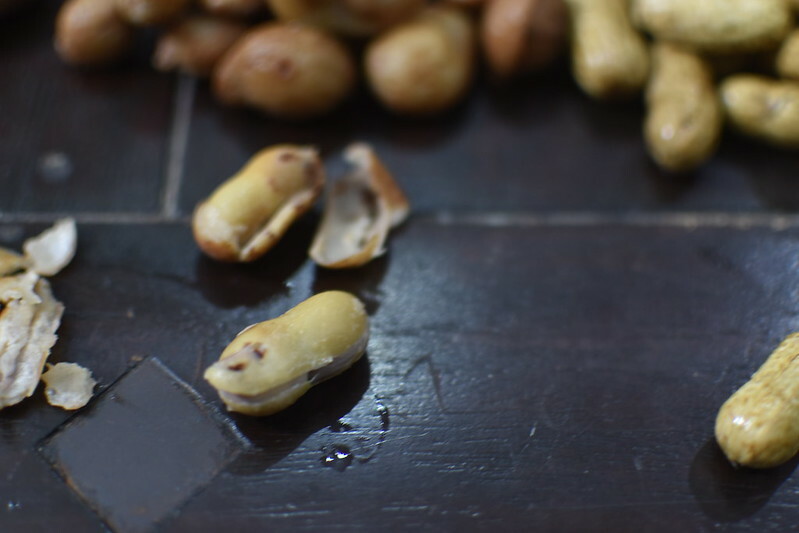 A dish of boiled, mashed bambara nuts served with groundnut oil. It is commonly sold in markets on Friday and Saturday.